Hyundai Genuine Parts are tested under various simulated extreme conditions to ensure quality, reliability and durability, and are backed by a 12 month / 20,000Km warranty. Hyundai Genuine Parts are manufactured by the people who built your Hyundai and in addition to ensuring optimal performance, they can add to the resale value of your vehicle. On the other hand, use of non-genuine or second-hand parts could lead to damage that might not be covered by your extensive Hyundai New Vehicle Warranty. Even more importantly, each new Hyundai has been engineered and built to achieve the highest levels of occupant safety. The use on non-genuine parts could lead to an accident, or compromise the functioning of one of your vehicle’s many active and passive safety devices that have been designed to protect you and your family. That’s why it really makes good sense to insist on Hyundai Genuine Parts. Keep the air you and your engine breath clean. Your motor mixes air and fuel in the ignition chamber and makes power for your auto to run. This air passes through your engine air filter first to keep bugs, dust, dirt and debris from reaching your engine and causing damage. Over time, just like any filter, it can become clogged. The restriction of air flow through a dirty filter will not only trigger engine problems but also increase fuel consumption. Filtering your cabin air may not be high on your priority list, but if you are an allergy sufferer it is a must. Dust, spores, pollen, leaves and droppings are all filtered out before reaching the cabin using the A/C filter. If the cabin filter is clogged up with this debris, your air flow will be diminished as the air tries to pass through completely clogged fins. Next time you perform a service on your car, take a few minutes to check the condition of your air filter. Air filters should be replaced on a regular basis and checked with every oil change. 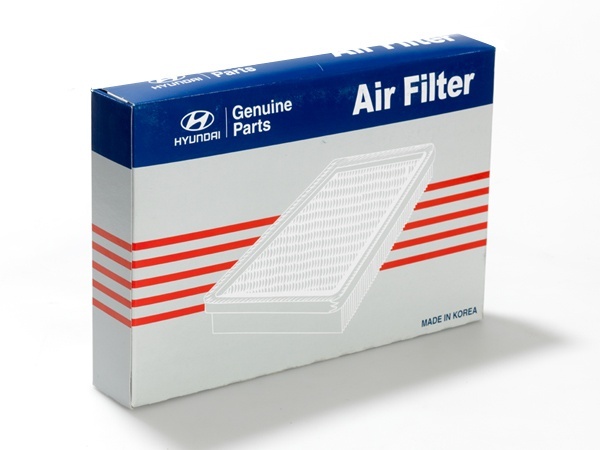 When you need a new air filter, buy Hyundai OEM parts. Made to fit your vehicle, tested for your vehicle and will function just like the original because it is the original. Known for their reliability and extraordinary value, Hyundais are some of the most beloved vehicles in Canada. When consumers properly maintain their Hyundais, they can expect many years of loyal service. Maintaining your Hyundai's brakes is especially crucial, as neglect can eventually cause rotors and calipers to wear down. Since good brakes are imperative for your safety, purchasing OEM parts is especially important. 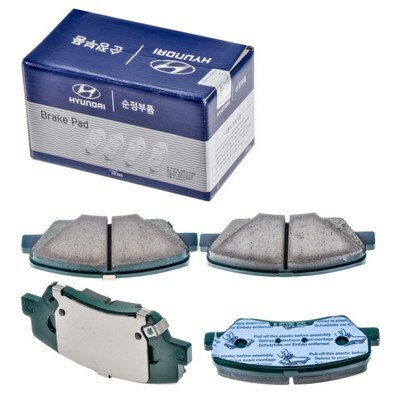 When you install Hyundai Genuine Brake Pads, you will feel safe and secure whenever you drive your car. For obvious reasons, the quality of your brakes should be held to the highest standards. You should examine your brake pads regularly in order to ensure that everything is in proper working order. Oil filter is designed to remove contaminants from engine oil, transmission oil, lubricating oil or hydraulic oil. In general, the main function of oil filter is to make sure cranks, cylinders and any moving parts in your vehicle moving smoothly and maintaining superb performance. As the oil filter is not the auto part that would last as long as your vehicle's lifespan, so you should always keep alert about signs indicating your oil filter is working improperly. In fact, the faulty oil filters would not only speed up the wearing of auto parts that need oil to move smoothly but also do harm to exhaust system. Vehicle's temperature gauge showing the car is overheating. The oil recirculates or leaks back into the oil pan. The engine performance suffers a lot. An obvious drop in oil pressure. Once your oil filter needs a replacement, Hyundai oil filter would be a wise choice. As Hyundai oil filter does well in removing any and all impurities from motor oil. Hyundai recommends that you need to change your Hyundai oil filter regularly, normally during routine maintenance and it deserves a thorough inspection. If you have strict requirements about Hyundai oil filter, then you can select freely from our full catalog of OEM Hyundai oil filters that fit for any Hyundai models varying from Accent to XG300. These oil filters come with the Hyundai's warranty, so you have no need to worry about their quality, durability and reliability. 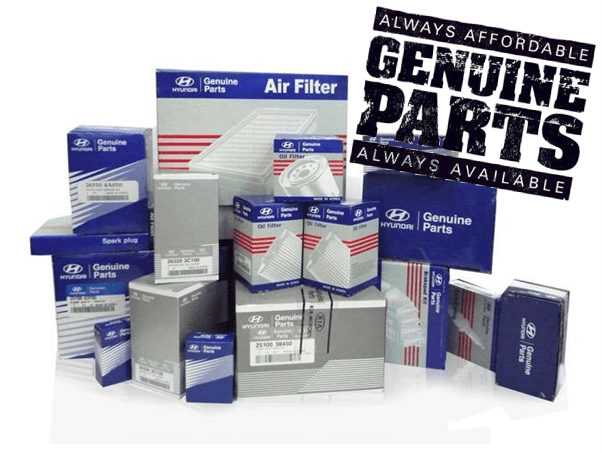 What's more, all genuine Hyundai oil filters are sold at the lowest price in the market and would be delivered at the fastest speed. Timing belt, also known as timing chain or cam belt, is a part of a vehicle equipped with an internal combustion engine. It is mainly reinforced band made of rubber used to synchronize the rotation of the crankshaft and the camshaft so that engine's valves could be open or closed at proper time during each cylinders intake and exhaust stokes. The location of the timing belt is in the engine compartment behind the drive belt. To sum up, timing belt is responsible for ensuring engine's proper operation, thus vehicle could run smoothly. As timing belt is made of rubber and is subject to incredible forces inside the motor, so it eventually would wear and tear. And a faulty timing belt could make entire engine grind to a halt so that the vehicle becomes inoperable. Oil leaks from in front of the motor or plastic chunks found inside the oil pan. You are also supposed to change your timing belt if you drive your car over 60,000 miles or five years. Our genuine Hyundai timing belt will be perfectly fitted with your Hyundai vehicle. 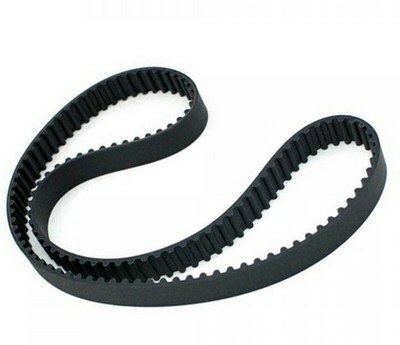 Since you are already here, all you need to do is browse the website and you can find OEM Accent timing belt or OEM XG300 timing belt easily from our vast selection of OEM Hyundai timing belts. All genuine Hyundai timing belts we provide are in top quality and come with the manufacturer's warranty, and we will please you with a discounted price. What's more, fastest delivery service and hassle-free return policy would make sure you have a satisfying and happiest shopping experience.